An aromatic herb with a crisp, fresh flavor. Use it heartily on seafood, with potatoes, vegetables, salads, eggs, or add it to dips, dressings, sauces, and preserves. Nutritional Benefits: Dill Weed is very low in Saturated Fat and Cholesterol. It is a good source of Thiamin, a very good source of Dietary Fiber, Vitamin A, Vitamin C, Vitamin B6, Calcium, Iron, Magnesium, Phosphorus, Potassium, and Manganese. From our kitchen to yours, we are pleased to feature this tasty recipe shared via nutritiouseats.com for you to try with our organic Rosemary Whole. Your next weekend breakfast starts here. 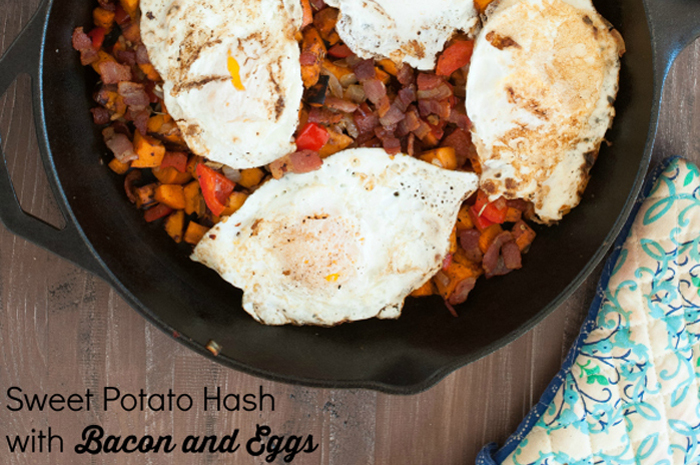 Super easy to make in a cast iron skillet, the hash is a combo of mainly sweet potatoes, red pepper, onion, bacon, and seasoned with dried rosemary and red pepper flakes. It’s healthy, filling, gluten free and Paleo-friendly. Great for breakfast or brunch! This recipe is from Melanie of the Nutritious Eats blog. Click on image for Melanie’s recipe! 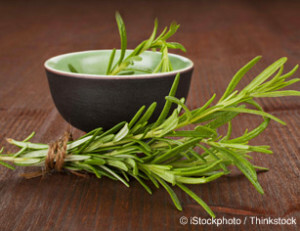 From our kitchen to yours, we are pleased to feature this tasty recipe shared via greenschocolate.com for you to try with our organic Rosemary Whole. 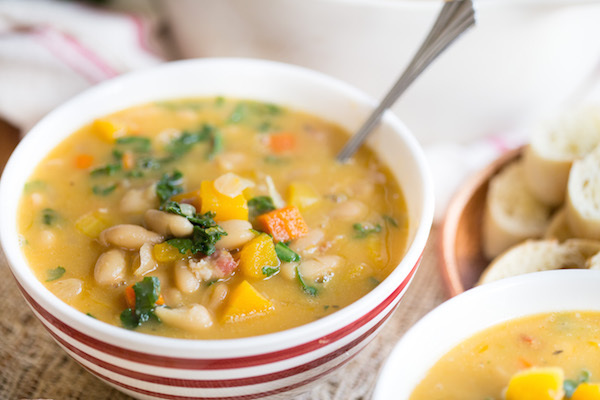 Get into your comfort zone with this hardy Tuscan Bean and Butternut Squash Soup from Taylor of the Greens & Chocolate blog. The soup is a marriage of kale, cannellini beans, pancetta, butternut squash, and carrots; seasoned with dried rosemary, basil and thyme. It is creamy without adding cream by using a puree of the squash and beans. Click on image for Taylor’s recipe! Rosemary – Did you know? A lovely herb with tags like “Dew of the Sea” and “Old Man,” rosemary is related to mint and resembles lavender, with leaves like flat pine needles touched with silver. Nutritional Benefits: Rosemary is very low in Cholesterol and Sodium. It is also a good source of Vitamin A, Thiamin, and Magnesium, and a very good source of Dietary Fiber, Vitamin C, Vitamin B6, Folate, Calcium, Iron, and Manganese. Here’s a breakfast or dessert cake you’ll want to serve soon. 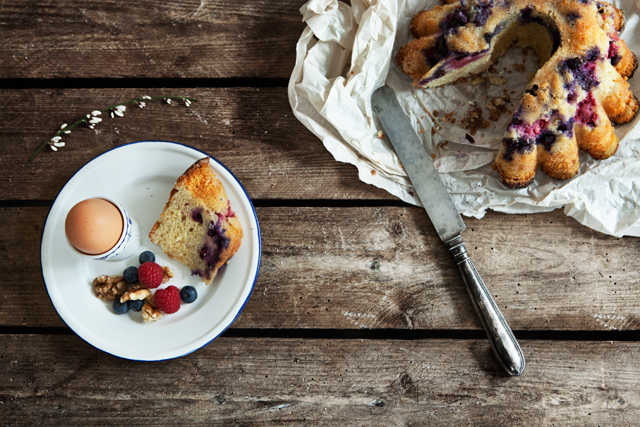 This Berry & Cardamom Bundt Cake is bright, bold and elegant. Add a dash of Grand Marnier or Drambuie to make it extra perky. The cheerful bundt cake is from Katrin of the Modern Wifestyle blog. Click on image for Katrin’s recipe! Meet the carrot cake that doesn’t need walnuts! 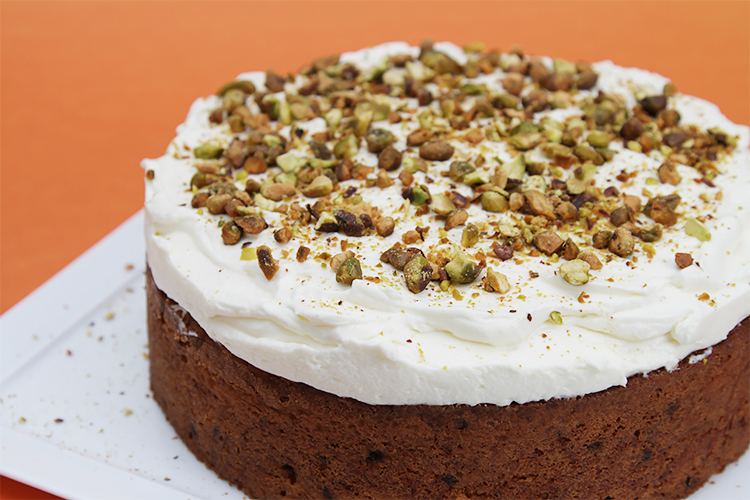 It’s a spunky and spiced carrot cake made with cardamom, currants and olive oil, which makes it pleasantly moist. Instead of the usual cream cheese frosting, the carrot cake is crowned with a Ginger-Crème Fraîche Chantilly icing. This recipe from Viviane of the Food&Style e-magazine is extra easy with Viviane’s step-by-step video. Click on image for Viviane’s recipe! Did you know that cardamom is one of the world’s most expensive spices, falling right behind saffron and vanilla beans? Also, it is indigenous to southwest India, and was exclusively cultivated there until relatively recently (around 1900). Thekitchn gives you many more interesting facts about the amazing spice. From our kitchen to yours, we are pleased to feature this tasty recipe shared via poetinthepantry.com for you to try with our organic Ceylon True Cinnamon. This twist, literally, on a classic cinnamon bun recipe, is highly recommended and is from Carrie of the Poet In The Pantry blog. 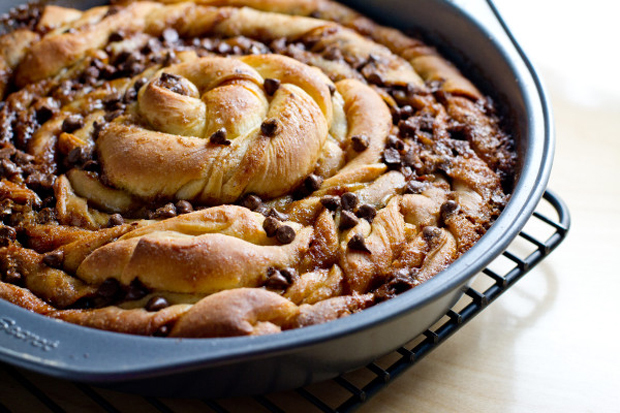 Strips of dough, folded with cinnamon and chocolate chips, are twisted to create a cinnamon swirl and spiral in a cake pan. Delicious and fancy! Click on image for Carrie’s recipe!